Quilt As You Go Pouch Tutorial! The hubs and I don't take vacations very often but we have finally made plans for a mini vacation! We will be exploring the wonderful town of San Antonio next month. So if any of you know some good quilt shops let me know which ones I should plan on visiting while we are down there. My goal for this trip is to travel with as many handmade goods as possible. I have my Weekender Bag that I can use. And I have also thought about making the Simplicity 2274 duffel bag. As I was contemplating what I would need to take with me I decided I could whip up a pouch for my cosmetics. And here's a little tutorial about how I made mine! A variety of scraps in your preferred colors! 1. Start by basing the cotton duck and the batting. 2. Place a scrap on the center of the batting and sew down. 3. As you can see, I used straight lines about 1/4" apart for my project. And I only sewed over the scrap. 4. 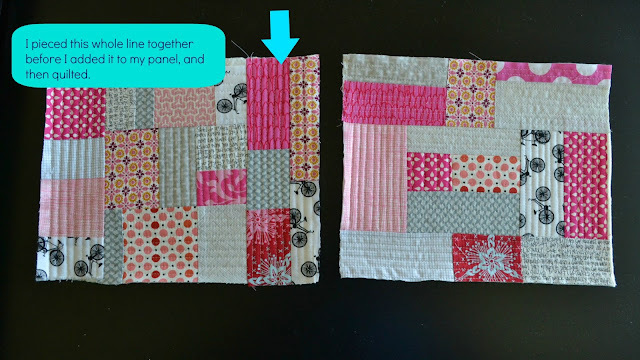 Place your next scrap right sides together matching up the edges. It helps if the scrap you are adding is the same width as the piece you are piecing to. 5. Sew a 1/4" seam down the side. 7. Quilt your new piece only! 8. Place your next scrap along the edge of what is already there. Again, it helps if the piece you are adding is the same width or length of what you are adding it to. 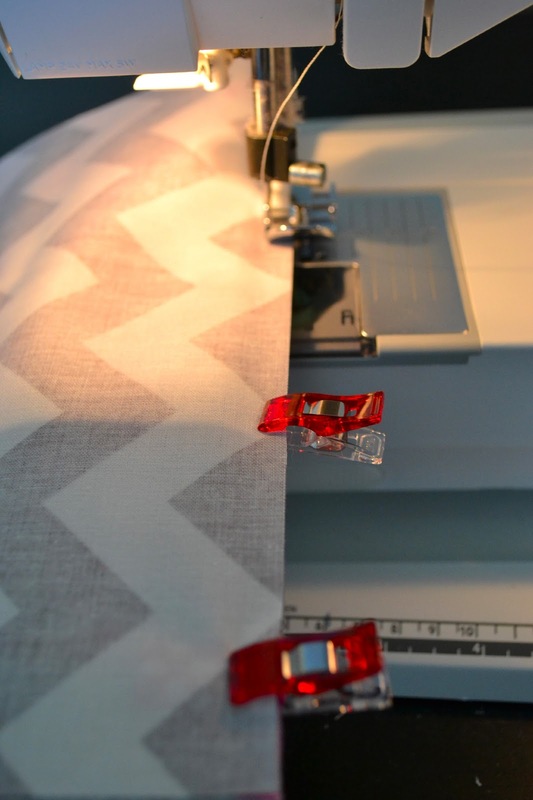 Sew a 1/4" seam down the edge. 9. Press and then quilt that piece only, however you desire. 10. Continue that process until you are finished with two different panels. Keep in mind you don't have to do just one piece at a time. If you like, you can do sections at a time. For instance, I pieced a section before I added it to my panel. 11. When your panels are finished, trim them to 7.75"x10". Then gather your other materials, it's time to assemble your pouch! 12. We will start by preparing your zipper ends. Press the 2"x4" piece in half lengthwise. 13. Using the crease you made as your guide, press the long edges to the center. 15. Trim your zipper to 8.5". 16. Cur your zipper ends to make two 2" pieces. Place one piece around one end of the zipper. 18. Trim off excess to make the edges even with the zipper. And complete with the other end of the zipper. 19. Next we will attach the zipper. Layer one quilted panel right side up, then center the zipper with the zipper facing down!!! Finally place the lining right side down. Make sure all of the top edges are even before stitching! 20. I usually clip my layers in place before I stitch them together! I love my wonder clips! They are the best invention ever! 21. Using your zipper foot, stitch closely to the zipper coils. It would be similar to a 1/4" seam. 22. Flip the lining around and top stitch. 23. Place the second panel right side facing up. Then place the zipper/panel even with the top edge. Both quilted panels should be facing each other. 24. Then place the second lining piece face down, even with the top edge. 25. Clip or pin in place. 26. Using a zipper foot stitch like you did in step 21. 27. Flip the lining around and top stitch in place like you did in step 22. You should now have a large piece that resembles this. Isn't it pretty? Now you can take a second to admire your beautiful creation. 28. IMPORTANT: Open your zipper half way!! Next, we are going to make sure that the right sides of the quilted panels are facing each other. And the right sides of the linings are facing each other. 29. Now you need to stitch a 1/4" seam around the edges of the pouch. 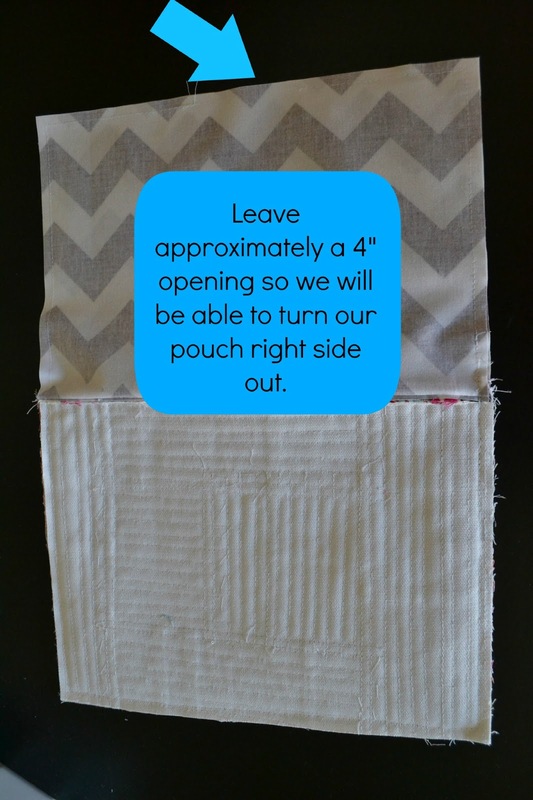 But leave approximately a 4" opening at the bottom of the lining so we will be able to turn our pouch right side out. It's hard to see my 1/4" seam because the white thread blends in but I promise it's there. 30. Pull the pouch through the 4" opening you left! If you didn't open your zipper half way in step 28, you won't be a happy camper during this part. 31. Keep pulling until it looks like this! 32. Top stitch the opening closed and stuff the lining into the pouch. And voila your pouch is complete!! Now that I have my cosmetic pouch done, I am contemplating making the Simplicity 2274 duffel bag. Hmmm ..... I might have to go purchase some fabric .... aww shucks! 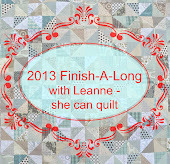 I am linking this up with the 2nd Quarter Finish A Long with she can quilt! 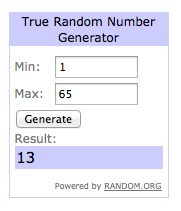 I am happy to announce the winner of the Robotics bundle from one of the fabulous sponsors of the Girl Friday Blog Hop. And the winner is ...... Stephanie!! So Stephanie, be on the lookout for an email! I have several projects that I really need to finish, don't we all?! Therefore, I found it necessary to link up with the Second Quarter 2013 Finish A Long! So here are the projects!! 1. I have a tote that I have planned out. I have picked out fabrics and I have decided on the design. Now all I need to do is get to work! 2. I also have a quilt as you go pouch that I need to finish! 3. I have two Christmas pillows that need to get done as well. Gotta love foundation paper piecing! 4. I also have another foundation paper pieced pillow that needs to get finished. 5. And again I am putting the pin cushion, scissor holder and needle case back on my "need to finish" list. Someday I will finish this project! And there you have it! 5 projects that I need to finish by the end of June. I CAN do it!!! Girl Friday Sews: File Folder Organizer Tutorial and a Giveaway! Welcome all blog hoppers!! Today is my stop on the Girl Friday Sews blog hop brought to you by the wonderful, amazingly talented Heidi! 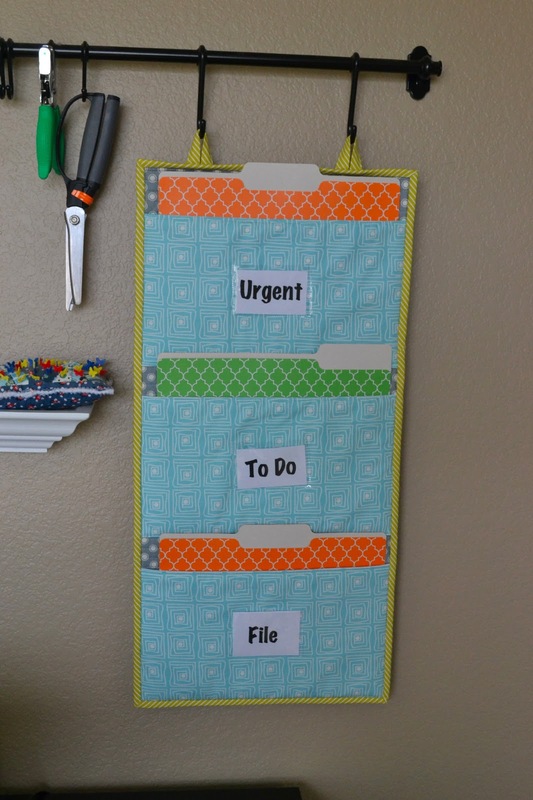 My project is a file folder organizer! 1. 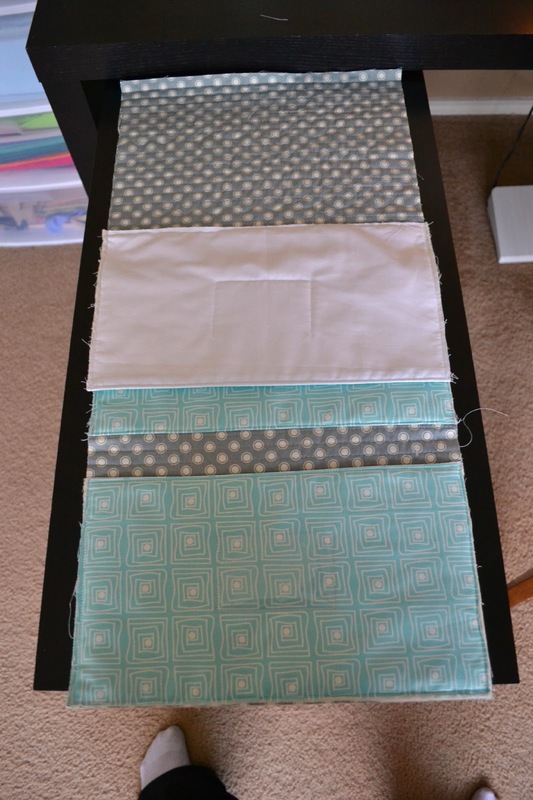 Begin by preparing fabrics and cutting everything to the necessary measurements. Baste the backing, batting and main panel piece and quilt as desired. When finished, trim to 13.5"x27.5". 2. Next, we will prepare the pocket pieces. Layer pockets as shown, batting, front of pocket. then the pocket lining. 3. Sew a 1/4" inseam along the top edge. 4. Press lining away from the outside of the pocket. 5. Keep turning the lining toward the back and press along the seam. 6. Stitch along the top edge of the pocket. Once that is done stitch along the remaining three sides with a 1/8" seam. Complete the other two pockets as directed. 7. Now we will add the pieces of vinyl. Place a piece of vinyl in the center of one of the pockets. Stitch around the two short sides and the bottom, leaving the top open. Complete with the remaining two pockets. 8. 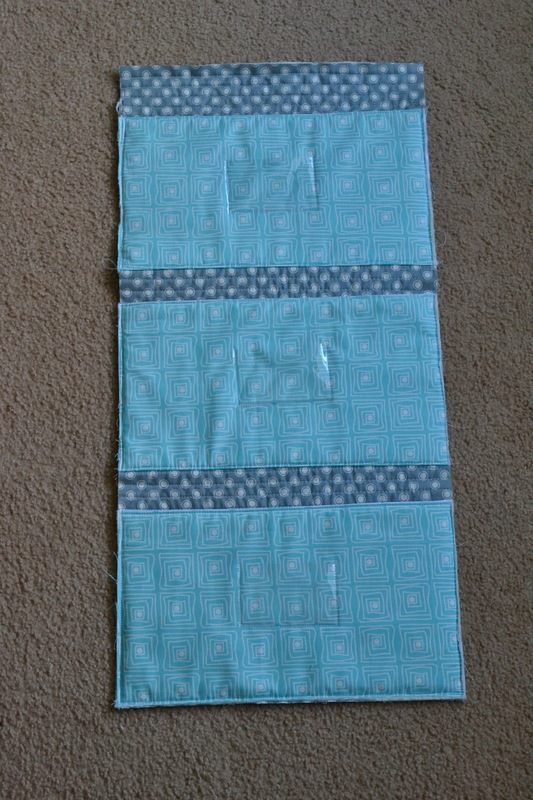 Place the bottom of one pocket along the bottom of the main panel. Stitch a 1/4" seam along the bottom edge. 9. Next measure up 9" from the bottom of the main panel and mark a line across the panel. Wrong side facing up, place the bottom of one of the pockets along the line that was drawn. Stitch a 1/4" seam along the edge. Flip pocket up so you can see the right side of the fabric. Once you are able to see the right side of the pocket, stitch along bottom edge of the pocket. 10. Next measure up 18" from the bottom of the main panel and mark a line across the panel. Wrong side facing up, place the bottom of one of the pockets along the line that was drawn. Stitch a 1/4" seam along the edge. Flip pocket up so you can see the right side of the fabric. Once you are able to see the right side of the pocket. Stitch along bottom edge of the pocket. 11. Stitch along the right and left edges of the pockets to hold them in place. 13. Unfold and press the outsides to the center. 14. Fold in half again, and press. 15. Stitch along the open edge. 16. Fold ends down to create a point and press. Prepare the other loop in the same manner. 17. Attach loops to the top of the back of the main panel. If you haven't been able to check out the other posts along the blog hop you really should go check them out! Taryn shared a super cute tablet stand tutorial yesterday! They are giving away a FQ bundle of Robotics by Birch Fabrics! Isn't that an adorable line of fabric?! To enter just leave a comment. If you need something to comment about, you can mention what you might do with these fabrics if you were to win them. This giveaway will be open until 9pm Monday, April 15th CST.